Alternate ROOTS is pleased to announce the six projects that comprise our 2017-18 Partners in Action cohort. From January 2017-June 2018, ROOTS will partner with these six projects by providing a combination of project funding and technical support, based on the needs of each project. In project support and technical assistance, this cohort will receive $99,000 in support. At its heart, Partners in Action works to illuminate the centrality of cultural organizing as a major tool for grassroots movement building in communities throughout the region. Now in its fourth cycle, and preceded for nearly two decades by the Community/Artist Partnership Program, Partners In Action builds equitable and reciprocal relationships between artists, cultural organizers, and communities. 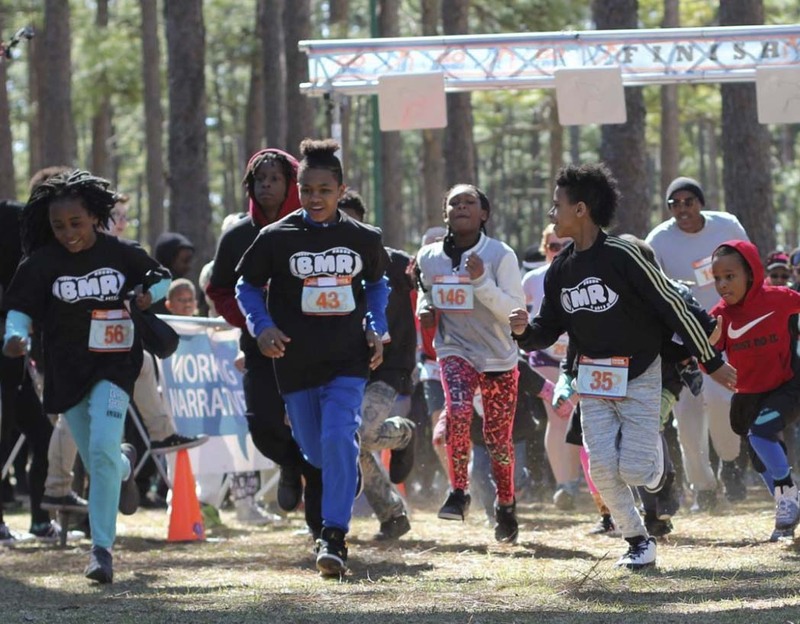 Through local actions, projects, and activities, these partnerships connect social justice issues and policies to social and economic justice and practice. Alternate ROOTS considers our support of these partners an investment in the future success and sustainability of the organizations as well as the communities they serve. Congratulations, to our 2017-18 PIA cohort: PATOIS, The Graduates, SpiritHouse, Queer Histories/Queer Futures, Working Narratives, and Looking for Lilith! Read on for more details about each project! PATOIS’ central mission is to create accessible spaces at the intersection of art and social justice where communities can unite in the struggle for human rights in New Orleans and around the globe. 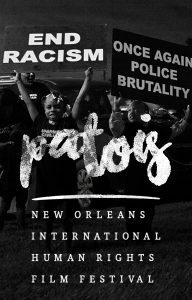 Throughout the PIA partnership period, PATOIS will curate and produce a series of art and film events aimed at raising awareness on the impact of gentrification in New Orleans and supporting housing rights struggles through collaboration and creative actions. PATOIS will engage a range of community groups, activists, artists, organizing projects, and cultural workers to address the housing crisis facing the city, with their primary partner being Jane Place Neighborhood Sustainability Initiative (JPNSI), an organization that has been at the forefront of organizing around the housing crisis. PATOIS goal is to forge new opportunities for expanding the public dialogue on housing; amplify the stories and voices of communities undergoing such rapid transformation; and engage film and art in designing solutions to achieve housing rights and equitable urban development. 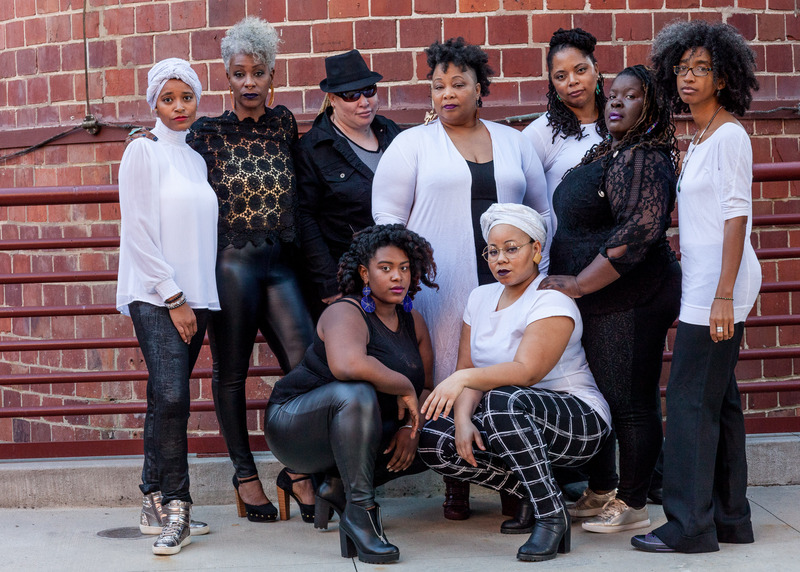 The Graduates, is an ensemble of formerly incarcerated women from the Louisiana Correctional Institute for Women (LCIW), co-founded and co-directed by Kathy Randels and Ausettua AmorAmenkum. 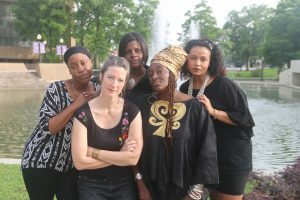 “Won’t Bow Down!” (WBD) is a project centered on The Graduates’ personal criminal justice system experiences with a vision of life in Louisiana after prison reform and a goal to create awareness of and encourage community organizing to abolish mass incarceration of black people and achieve racial equity in the US. 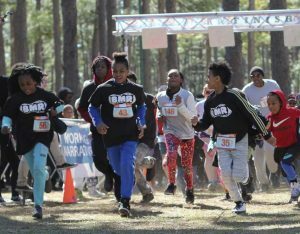 WBD will tour to living rooms, churches, community centers, and stages in 12 Louisiana communities. The autobiographical performances will shine a light on The Graduates’ unique stories: the most radical and direct communication we can share with people about the experience of incarceration. SpiritHouse Inc., in partnership with All of Us or None ­NC (AOUON­NC) and The Center for Participatory Change (CPC), will remount their interactive theatrical performance, “Collective Sun Reshape the Mo[u]rning” in Durham and in Asheville, NC. First mounted in 2012 under the direction of Ebony Noelle Golden, “Collective Sun” is a series of vignettes drawn from more than eight years of research, organizing and programmatic work that has been the emphasis of campaigns to challenge systemic racism and end criminalization and incarceration in this country. Part performance, part audio installation and part collective action, “Collective Sun,” creates a platform where communities impacted by systemic racism and criminalization use their experiences and voices to become more civically engaged.The performances of “Collective Sun” will be used to strengthen SpiritHouse’s Harm Free Zone work. 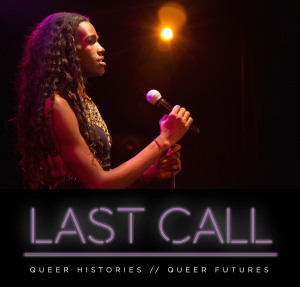 Queer Histories//Queer Futures (QHQF) is a triadic program of monthly events including workshops, salons, and creative intensives administered by Last Call in partnership with the New Orleans LGBT Community Center. QHQF kicks off with a series of oral history and audio production workshops for queer young adults and allies in which workshop participants will conduct and transcribe interviews with elders in the queer community and remix those interviews into new Last Call podcast episodes. QHQF will then host creative intensives to interpret these stories through small-scale performances that connect the histories of queer elders with the realities of queer youth in order to collectively envision a vibrant and robust queer future that includes all of us. Finally, QHQF will host a series of artist salons at which audiences will hear the finished podcast and interface with the new mini-performances. These salons create queer-centric gathering space, initiate and build relationships, and allow the stories we collect to have a wider audience beyond the queer community. Working Narratives seeks support to produce Free Movement (FM), a public performance and community organizing project that seeks to link southern culture, communities and identities underserved by arts, justice and health movements in their homebase of Wilmington, North Carolina. Utilizing a tested community cultural organizing practice that includes artists residencies, cultural asset mapping, and a collaborative design and production of a large scale public art gathering, FM will work with grassroots partners and members to occupy public space and build grassroots power for positive social change. Free Movement will premiere in March 2018, and deliver a whole “package” of story-gathering and community dialogues, along with intensive artist residencies and workshops, and a main performance. Free Movement is a performance that (1) equals a form of street theater, and (2) incorporates storytelling throughout its process. 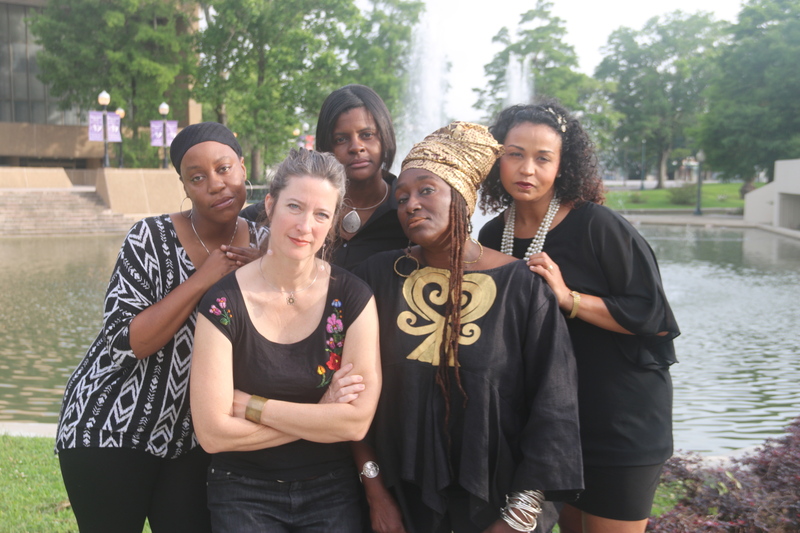 Looking for Lilith (LFL) seeks funding to rigorously examine the intersectionality of race and gender within their own company, city, commonwealth, and nation. LFL will work with a trainer to unpack their own experiences around privilege and how societal biases unintentionally manifest within the largely white company, integrating the concerns of women of color more fully into their organization. LFL will build relationships with potential partners who are already doing this work locally. 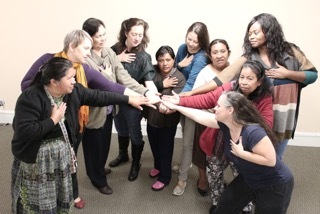 In the process, they will discern how to add LFL’ s theatre skills to engage the work of social change already happening at the intersection of race and gender.